Cars, nowadays, are getting more and more difficult to repair. Maintenance and repair of motorcycles, on the other hand, is something that you can do on your own, as long as you have the right tools. 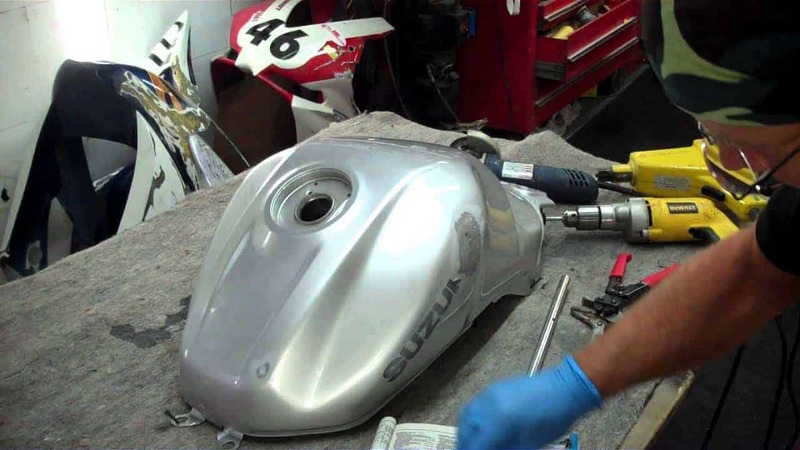 While some motorcycle repair jobs require professional assistance, you might be surprised that there are also jobs that you can handle, even if you are just a beginner. 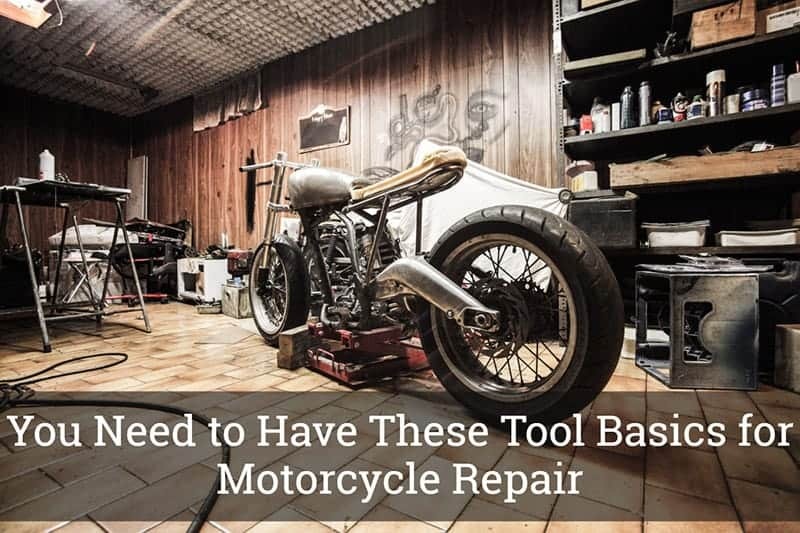 In this post, we will be talking about the beginner’s guide to tool basics for motorcycle repair. Getting the job done will be a lot easier for you if you get ahold of the necessary tools. Whether you are doing modifications or just replacing the battery, having these tools on hand would certainly make the process go as smoothly as possible. Read on if you want to know more. Getting yourself a pair of safety glasses is important, as a large percentage of workplace injuries are eye-related. In reality, these injuries can easily be avoided if you consider taking preventive measures such as wearing safety glasses. Injuries that result in blindness and expensive medical expenses can be prevented if you have one of these. Wearing protection for your ears is also very important to help protect you from work-related hearing loss. This may come in handy, especially if you are consistently exposed to excessive sound levels. Earmuff types generally provide adequate protection for your ears. In addition, you can also use this safety tool for hunting, sports events, studying, or any construction work. If you are not yet familiar, fire suppression systems terminate or prevent the spread of fire. These systems normally use a combination of wet agents, as well as dry chemicals, to suppress fires originating from equipment. This would be a very handy safety tool to add to your garage or workplace, as it’s always better to be safe than sorry. You might find it extremely difficult to repair a motorcycle in the dark, which is why having a flashlight that lets you see a little bit more is very important. This tool comes in handy, especially if you are repairing or customizing small and intricate parts of your motorcycle. Pro tip: keep a stock of batteries in your toolbox, this would save you a lot of time. No, you would not use this to hit your motorcycle. The hammer can be used to get parts and pieces in place, which get easily damaged or marred. It would be advisable that you start with a ball peen hammer and then move up when the need arises. In addition, you may want to start using a hammer that is not more than 16oz in weight. As you would be working on stubborn screws and your elbow grease simply will not work, you would definitely need an impact wrench or an impact driver. With the help of an impact driver, the fastener will loosen up without the application of a massive twisting force like a breaker bar does. After all, screws made of steel locks onto the threads in your motorcycle’s crankcases. A word of advice, you must use the impact tips, or you would severely damage the fastener head. It should also be noted that standard or regular driver bits are too soft and have the potential to lose their form due to the impact. You may not know yet what kind of maintenance or repair your motorcycle needs but you can safely assume you will be needing a set of pliers eventually. While regular pliers are great, you must also have differently-sized pliers to suit every application. You may end up not using a certain pair of pliers but it’s better to have it with you when you need it. We would recommend a set of needle nose pliers, as it is deemed very useful for pulling, pinching, and getting into the smallest spaces. It would also be recommended that you get one that comes with snips that are built for zip-ties and wires. Just like pliers, wrenches should also be an important addition to your toolbox. We do recommend that you buy a full set that already comes in a variety of sizes. To add, it would also be wise to buy same wrenches that come in different lengths, just because you will never know when you will need to use a longer, or shorter, or two of the same size. Having a full set of 1/4 -inch and 3/8-inch sockets could be very helpful for your motorcycle repair job. You could also add in deep or universal sockets and a set of hex keys intended for a 3/8-inch ratchet. The more options to have, the easier it will be to complete the job. Socket handles vary in shape and size. While T-handles are incredibly useful, you might also consider ﻿﻿using ratchet handles and extensions. It can also come in handy if you get yourself several extension lengths, as well as universal joints. You may want to check what your standard sockets are and just get what you need. When it comes to screwdrivers, it might be better if you already invest in a high-quality one. Great screwdrivers normally have hardened tips and are made of strong metal. These components are very helpful in removing or tightening stubborn screws without damaging them or the screwdriver itself. You need hex heads in almost every application, which is why these are essential when you’re working on your motorcycle. It should be noted, however, that L-shaped hex keys probably would not do the job like the hex-head sockets. So, just buy one of these hex-head sockets, which you can easily snap on to your T-handles or ratchets. 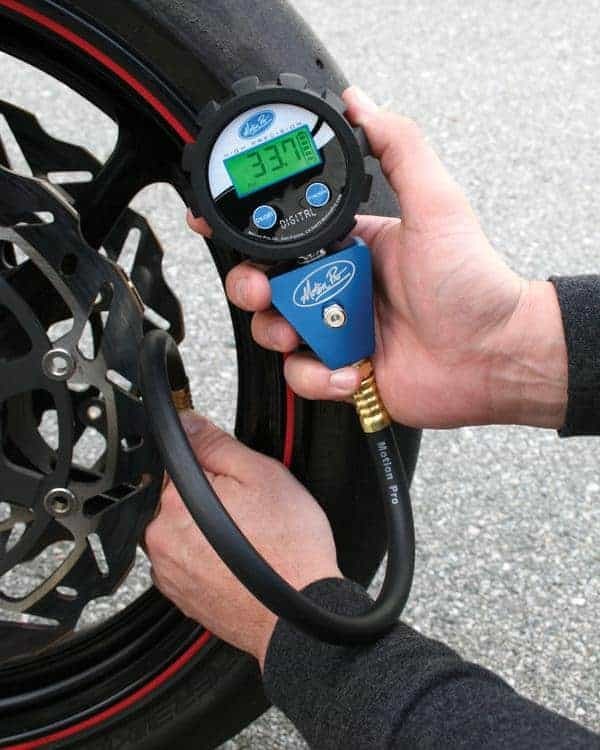 Given that tire pressure is a critical component of your motorcycle, one of the most important tools that you must have is the tire pressure gauge. 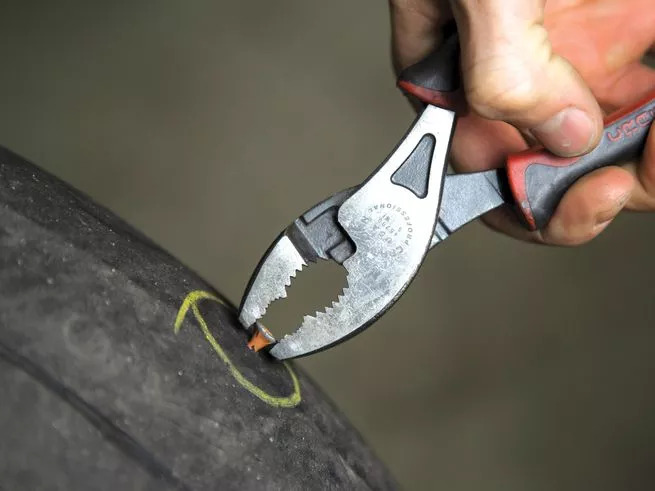 It is wise that you check the pressure of your tires every time you ride your bike but it is an absolute must to check the pressure, especially when you are performing maintenance. Lastly, it might also be of great use to your other vehicles. You would be able to find different kinds of multi-meters with varying prices. However, even the cheapest ones would be able to provide you with measurements on the current, resistance, and voltage. In addition, if you one of these, you would be able to perform c﻿hecks on your batte﻿ry, as well as the condition of the ignition coils. Overall, it works great for diagnosing electrical problems. Now that we reach the end of this post, we do hope that you now know the mandatory tools your toolbox must have. As a beginner, these tools would come in handy, especially when you are doing basic repairs and routine ﻿maintenance on your motorcycle. As a general rule of thumb, you can just buy the best tool that your budget allows, as even the cheap ones still get the job done.